At Ecreate, we offer Backend framework development services. We are proficient in using different tools that help in Backend framework development. We have a team of experts ready to put in their best efforts to build easy-to-understand and secured Backend for your website. Larval is one of the fastest growing PHP frameworks. Laravel, a PHP framework, does exactly that for you with its simple code syntax. We use our extensive larval development services for applications to ensure client fulfillment at every stage of the development process. 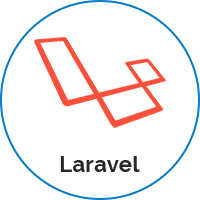 Laravel is an open-source PHP web framework intended for the development of web applications using the model–view-controller (MVC) architectural pattern. 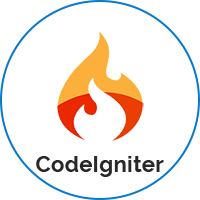 CodeIgniter is extremely powerful and comes with an inbuilt code management system, which helps in providing cost effective PHP solutions besides helping in production of code that is easier to browse as well as write, thereby resulting in significant time as well as cost saving. Ecreate has a group of expert CodeIgniter specialists who can create any solution as per your requirement with no trouble. We have been in the business of PHP development services for significantly long time to know exactly what you need and how to deliver it with CodeIgniter development services.